All Zoe Grace Salon artists have been educated and mentored by Ella King, owner of Zoe Grace Salon. Each stylist has been handpicked and has an immeasurable understanding of the science of hair color formulation and hair cutting techniques. All of our stylists are committed to excellence and the understanding that our guests' wants and needs come first. Hannah’s quiet demeanor should only be a reminder that silence is “golden” because her flawless talent as a makeup artist will absolutely leave YOU speechless. Her expertise doesn’t stop with a mere stroke of a makeup brush, it carries over into her mixology of hair color, bringing new fervor to a dull head of hair. Let Hannah explore with you, through a concise consultation, the current and upcoming trends, that will color your world. Jensen is a free-spirited hair artist that is able to showcase her talent in different hair genres such as formal styling and dreadlocks. Similar to what type of music she listens to and plays on her guitar, her hair knowledge is diverse and creative. She knows that your hair is a crown that you never take off but it’s all about how you wear that crown. With the complimentary hair consultation that Zoe Grace Salon specializes in, Jensen will find your free-spirit that you may have hidden away. 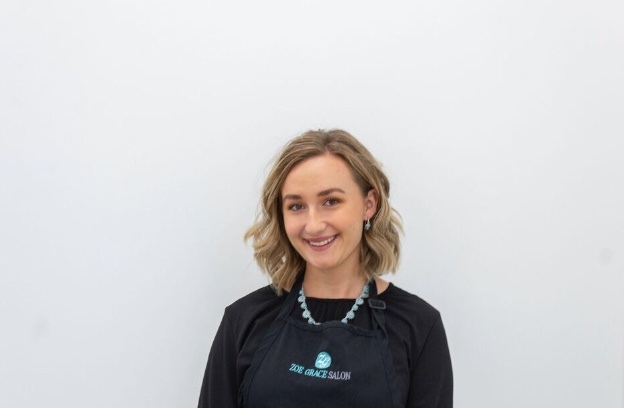 If you are intrigued by adding some blonde highlights to a trendy cut or finish out your service with a soft wavy style, Jensen will guide you towards your beauty destination. Megan has been a nurse for 10 years and a nurse practitioner for 4. Since beginning her Nurse Practitioner career, she was co-owner of a Medical Spa in Northern Kentucky, called Zero Gravity Med Spa, where she specialized in cosmetic procedures including Botox, fillers, laser skin treatments and other anti-aging cosmetic procedures. She trained with some of the best cosmetic plastic surgeons in her region through Allergan, Galderma and more. She has belonged to a Medical Aesthetic company, where she traveled all over the country training with colleagues to provide the best and most up to date procedures for her clients. Her expertise is specific to cheek and lip enhancement, reduction of fine lines and wrinkles and facial rejuvenation utilizing a combination of hyaluronic acid fillers and neurotoxin. Rhonda will be your tranquil moment for your Zoe Grace experience. Her soothing voice and kind heart will have you loving your hair before she even gets started. With over 10 years in the industry, specializing in the intricate work of eyebrow shaping, lash lifts and tinting, her fascination with the art and science of color formulation has kept her current with the latest hair trends and at the top of her game. 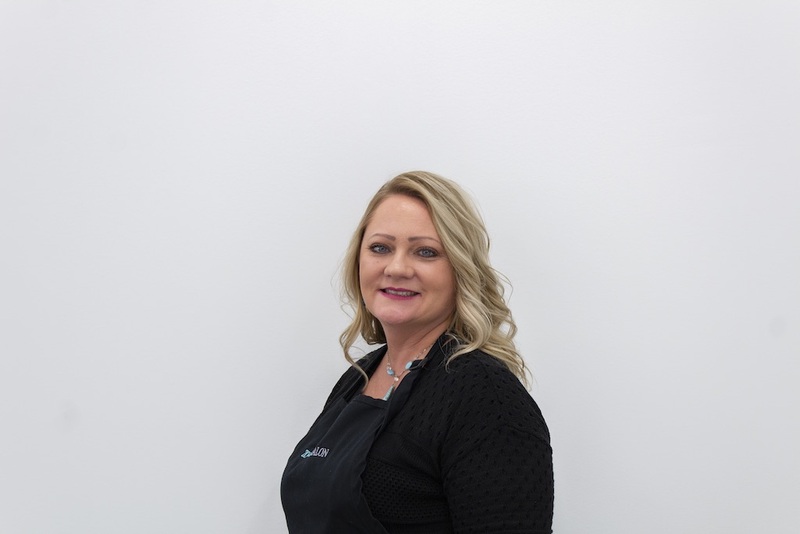 Rhonda will take her time during your consultation and any other services you book with her, including the luxurious Zoe Grace scalp massage and shampoo service, ensuring that you receive exactly what you envisioned. 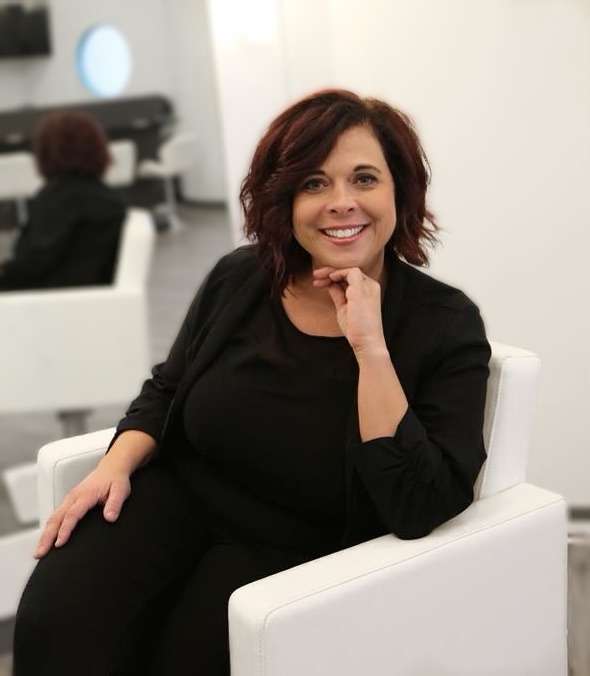 Whether you’re needing a new cut and style or a fresh dynamic hair color that Rhonda will customize for you, she will make sure that you step out of the salon with astonishing results. Book your personalized appointment with her today. Tracie comes to Zoe Grace salon with over 20 years of experience, most of those years behind the chair in Oregon. Her strong belief in continuous education and training, has kept her current in fashion hair trends, allowing her to keep her creativity fresh and her mind curious. Although this loving mom of 2 children also has a passion for horses, Harry Potter and Star Wars, her passion lies deep for formulating beautiful, vibrant hair colors to bring out the electrifying spirit of her clientele. If you too have a curious mind and vision and want to make your color craving and style a reality, book your complimentary consultation with Tracie. It’s about time to feel good about yourself! Hunter is from the foothills of The Great Smoky Mountains and was born into the industry as a 4th generation stylist. Raised in the salon, hair isn’t something he just does — it’s his passion. Hunter prides himself on bringing new, modern techniques to a tradition based industry. We’re all creatures of habit, but Hunter pushes us all to jump OUTSIDE the box, and try new things. After high school, he moved to Nashville, where he attended Georgia Career Institute for his Cosmetology license. After 5 years in the industry, Hunter felt that it was time for a change — A BIG ONE. So he packed his bags and headed for the Queen City! Hunter specializes in Blonde and Vivid hair color. His ultimate goal is to travel the world to empower, inspire, and spread his passion to his fellow salon professionals. 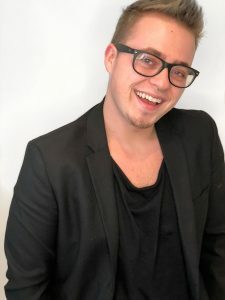 Recently, Hunter has completed the Keune Haircosmetics Educator training and is now fulfilling his dream of traveling the world empowering and inspiring salon professionals. Hunter lives for a good reveal — so let him pilot you on your hair journey, and reveal your shining smile at the end!